First blog post of 2014 and we are more than halfway through January! I did intend to blog a bit before Christmas but I ended up taking some time out and spending time with family and friends. It felt good not to have too much pressure on myself to post but now it’s been a while, I’ve really found myself missing it. I’ve also got some new ideas on where to push the blog this year. Yes, I want it to be centred around cake but I’m also thinking of exploring wedding ideas on here too – can you believe I’m getting married next year?? If it does seem like I’m turning into Bridezilla on here, please give me a virtual kick! 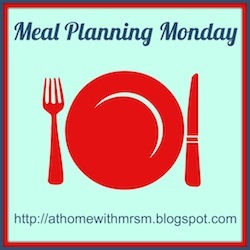 So… what a better way to start than Meal Planning Monday! The past month has been fairly hectic and scatty food wise but I’m hoping to start dress shopping by summer so I need to shift at least half a stone by then and tone up a bit. I’m also aiming to cut back on takeaways. There is no point saying I won’t have any cos then I’m just lying to myself but my goal now is to limit it to once a fortnight instead of once/twice a week. Monday – Cottage Pie from Lorraine Pascal’s Home Cooking Made Easy. I have made so many recipes from this book and they are always brilliant. I was also organised and made this pie yesterday so it only needs popping in the oven when we get in from work. Tuesday – Pork Chop traybake. I saw this recipe in Jo Wheatley’s Home Baking. This is the first of her recipes I will be trying so fingers crossed it turns out well. Wednesday – Chilli Con Carne with potato wedges. I came across this in my Nigella Kitchen book over the weekend and I’m always on the hunt for a good chilli recipe so I hope this one is a success. Thursday – Haggis! I had never had Haggis until we got some to have on NYE and now I’m addicted. It’s so cheap and tasty and the easiest of midweek meals. Friday – Paneer Curry. I spotted this recipe in Rick Stein’sIndia book and I love it. It also only takes about 15mins to cook which is always a winner for me. I might have to share the recipe on it, it really is so yummy! Saturday – no idea so will hopefully get creative and try something new. Sunday – I have cake club in the afternoon but maybe Himself will be nice and cook something for a change…? That’s it! Let’s hope I can stick to it. Once again I’ll be linking up over at Mrs M’s.